GATE 2019 Food Technology Syllabus has been Released. 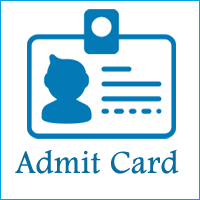 GATE 2019 is a national level exam organized by IIT Madras. 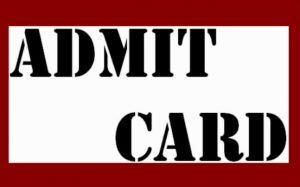 The Engineering Graduation Skill Test (GATE) is organized for admission to PG courses in the field of engineering and technology, specifically ME / M.Tech. The exam will be held on 2nd, 3rd, 9th February and 10th February 2019. See here for complete information about the GATE 2019 Program. 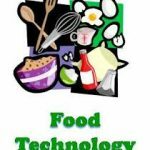 GATE 2019 Food Technology Syllabus has been Released. Click here to Download Pdf. Carbohydrates: structure and functional properties of mono-, oligo-, & poly­saccharides including starch, cellulose, pectic substances and dietary fiber, gelatinization, and retrogradation of starch. Proteins: classification and structure of proteins in food, biochemical changes in post-mortem and tenderization of muscles. Lipids: classification and structure of lipids, rancidity, polymerization, and polymorphism. Pigments: carotenoids, chlorophylls, anthocyanins, tannins, and myoglobin. Food flavours: terpenes, esters, aldehydes, ketones and quinines. Enzymes: specificity, simple and inhibition kinetics, coenzymes, enzymatic and non­enzymatic browning. Nutrition: balanced diet, essential amino acids and essential fatty acids, protein efficiency ratio, water soluble and fat soluble vitamins, the role of minerals in nutrition, co-factors, anti-nutrients, nutraceuticals, nutrient deficiency diseases. Chemical and biochemical changes: changes occur in foods during different processing. Characteristics of microorganisms: morphology of bacteria, yeast, mold and actinomycetes, spores and vegetative cells, gram-staining. Microbial growth: growth and death kinetics, serial dilution technique. Food spoilage: spoilage microorganisms in different food products including milk, fish, meat, egg, cereals and their products. Toxins from microbes: pathogens and non-pathogens including Staphylococcus, Salmonella, Shigella, Escherichia, Bacillus, Clostridium, and Aspergillus genera. Fermented foods and beverages: curd, yogurt, cheese, pickles, soya-sauce, sauerkraut, idli, dosa, vinegar, alcoholic beverages, and sausage. Processing principles: thermal processing, chilling, freezing, dehydration, the addition of preservatives and food additives, irradiation, fermentation, hurdle technology, intermediate moisture foods. Food packaging and storage: packaging materials, aseptic packaging, controlled and modified atmosphere storage. Cereal processing and products: milling of rice, wheat, and maize, parboiling of paddy, bread, biscuits, extruded products and ready to eat breakfast cereals. Oil processing: expelling, solvent extraction, refining and hydrogenation. Fruits a nd vegetables processing: extraction, clarification, concentration, and packaging of fruit juice, jam, jelly, marmalade, squash, candies, tomato sauce, ketchup, and puree, potato chips, pickles. Plantation crops processing and products: tea, coffee, cocoa, spice, extraction of essential oils and oleoresins from spices. Milk and milk products processing: pasteurization and sterilization, cream, butter, ghee, ice­ cream, cheese, and milk powder. Processing of animal products: drying, canning, and freezing of fish and meat; production of egg powder. Waste utilization: pectin from fruit wastes, uses of by-products from rice milling. Food standards and qu ality maintenance: FPO, PFA, Agmark, ISI, HACCP, food plant sanitation and cleaning in place (CIP). Mass and energy balance; Momentum transfer: Flow rate and pressure drop relationships for Newtonian fluids flowing through the pipe, Reynolds number. Heat transfer: heat transfer by conduction, convection, radiation, heat exchangers. Mass transfer: Molecular diffusion and Fick’s law, conduction and convective mass transfer, permeability through single and multilayer films. Mechanical operations: size reduction of solids, high-pressure homogenization, filtration, centrifugation, settling, sieving, mixing & agitation of liquid. Thermal operations: thermal sterilization, evaporation of liquid foods, hot air drying of solids, spray and freeze-drying, freezing and crystallization. Mass transfer operations: psychrometry, humidification, and dehumidification operations. If you any query regarding GATE 2019 Food Technology Syllabus, you can ask your query leave comments below.